Milan-style plate legs with knee caps 1450-1485 years, a part of "Avant Armour"
Milan-style plate legs with kneecaps are an essential elements of the well-known "Avant Armour", dated by the 1450-1485 years. This full-plate set was crafted in Corio workshop, Milano, and was belong to fon Matsch, the owner of Churburg Castle in 1445. Now this armour is in almost perfect condition and is shown in Kelvingrove Art Gallery and Museum, Glazgo, Scotland. These handcrafted cuisses with segmental kneecaps (also known as poleyns) guarantee perfect protection and freedom of movement at the same time. Hinged thigh armor is comfortable on wearing and using. 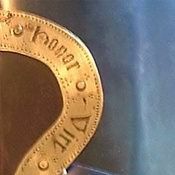 On the top, cuisses have leather loops with holes for fastening of armor to the belt or medieval doublet. 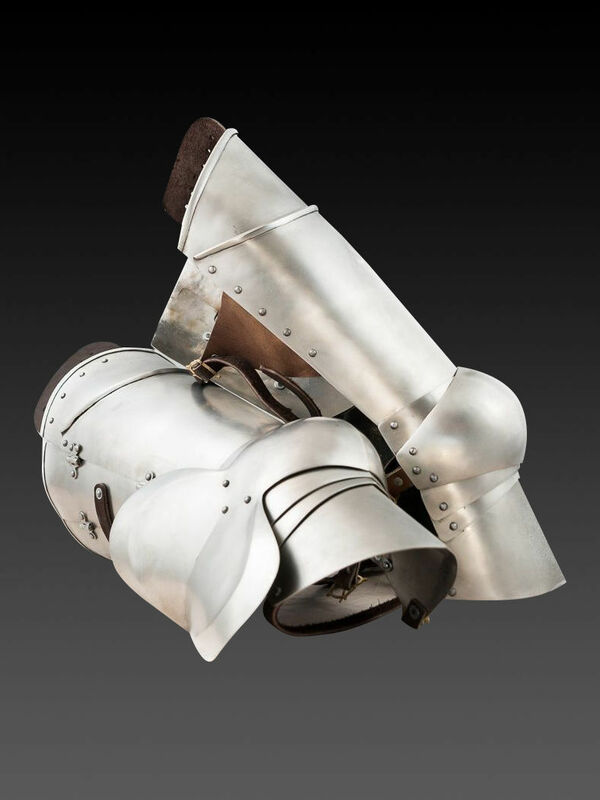 We offer to complete your Milanese knight body armor with the same style cuirass and arm defense. 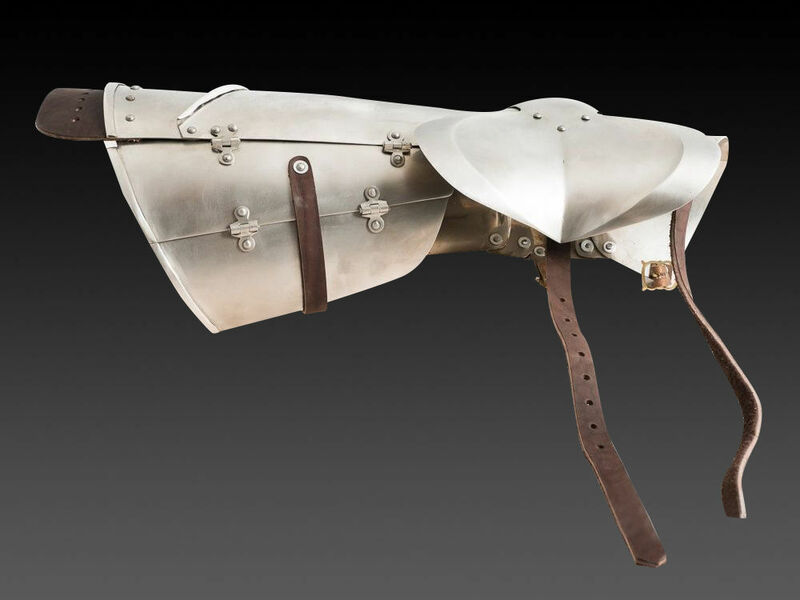 In options, you may choose another type and thickness of metal, color of belts, finish treatment and decoration for your Italian battle leg protection. You may also like these models of medieval leg defense: English Gothic legs of the XV century, German Gothic legs of the 2nd half of the XV century, plate legs of the late XIV – early XV centuries. Fairytale about Ritternputtel or German gothic sabatons, late XV century (1470-1490 years) From German words Ritter («knight”) and Aschenputtel («Cinderella”). Asche – «ash” is being changed to “knight” and here we get Ritternputtel. Once upon a time, in the end of the XV century, there lived quiet and shy sword bearer Ritternputtel on the northwest of Hanseatic League in the renowned town Bremen. He served as the third lower sword bearer, almost a footboy, at the noble old knight. He was quiet, polite and hard-working youngling. He worked for three – for himself and two lazy and mischievous superior sword bearers. He was dressing unmurmuring his seignior in armor; was polishing a sword carefully; was giving heavy tournament spear though hardly, but always on time. And, Ritternputtel had a dream – to become a knight and win a tournament. But, the dream remained just a dream, as old noble knight was not concerned about him. As he was only junior sword bearer, and above all, he did not have any armor. So, what a knight ..